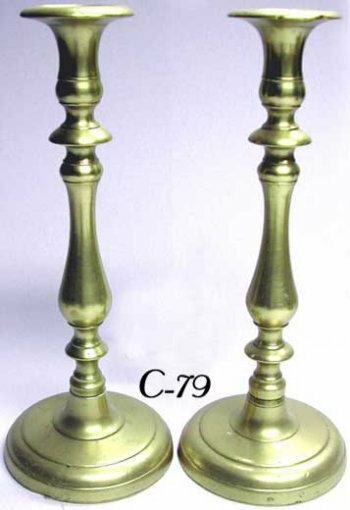 A Pair of beautiful antique heavyweight cast brass Sabbath Candlesticks. Russia, c. 1830. Graceful baluster stem with knops above and below rises from a circular base with decorative banding. The candleholder of flared krater shape.